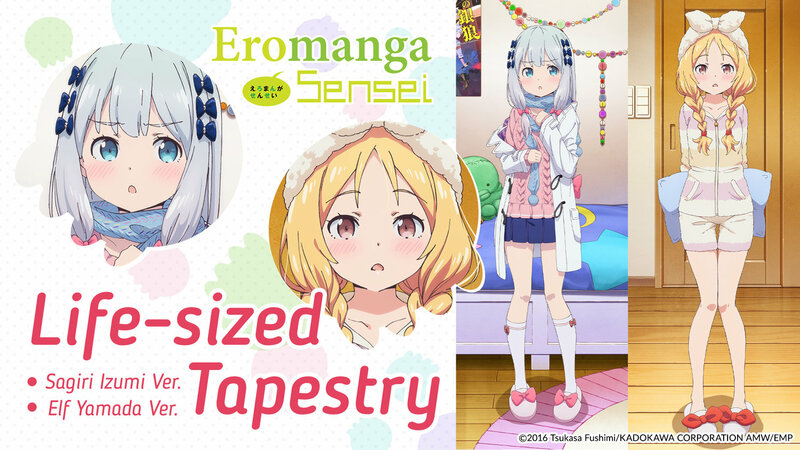 A life-sized Sagiri or Elf right before your eyes… Two tapestries featuring new illustrations from Eromanga Sensei now available! + TOM-limited Campaign: Receive a mini-photobook! Experience the sensation of being home alone with Sagiri and Elf with these life-sized tapestries with the chance to receive mini-photobook! Sagiri Izumi and Elf Yamada, the heroines of Eromanga Sensei, which will have an OVA released in 2019, have been immortalized as life-sized tapestries! The two of them are relaxing in their home clothes. You can enjoy the sight which will make you feel like you’ve been invited into their rooms. The illustrations are original and made specifically for this item. Also, TOM orders will receive a special mini-photobook featuring the voice actresses of Sagiri and Elf if we hit the pre-order goal! Check out the campaign details below! 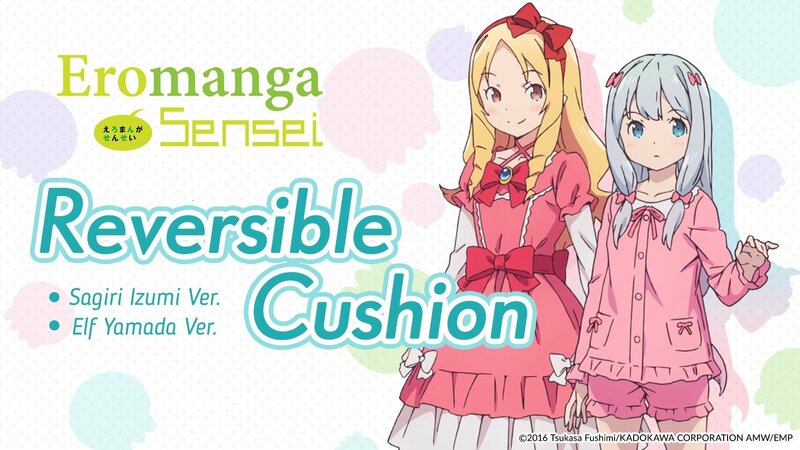 100 people out of everyone who purchases the MiyaP’s Desires Set, which includes both the Sagiri and Elf versions, or the Cover the World in Eromanga Sensei Set of the reversible cushions, will be chosen to attend the Akane Fujita meet-and-greet where she’ll personally give you your rewards! This is a chance that Eromanga Sensei and Akane Fujita fans can’t pass up! 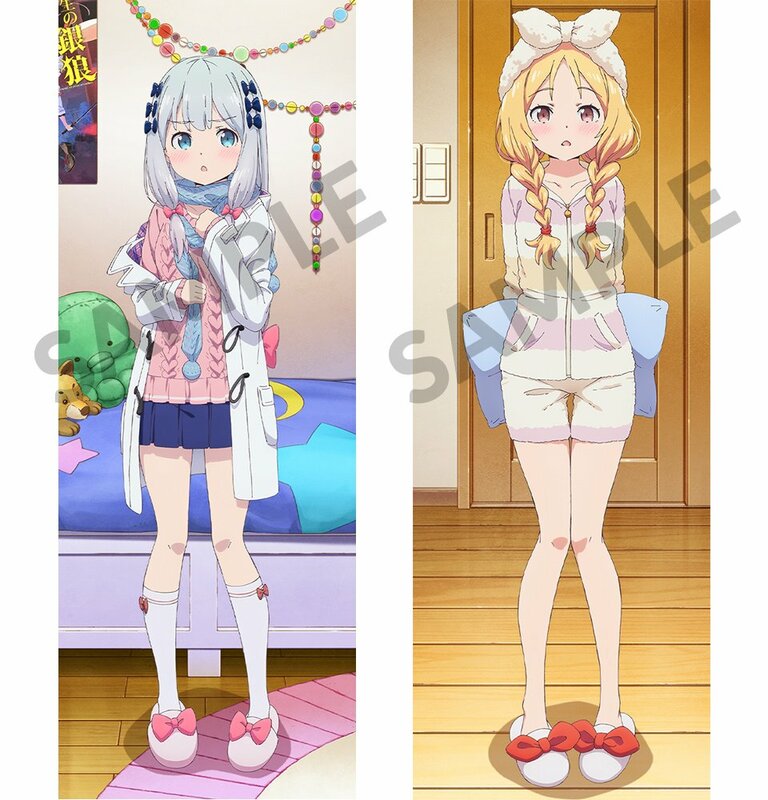 Additionally, 50 people who have purchased the MiyaP’s Desires Set which includes both the Sagiri and Elf versions as well as the Cover the World in Eromanga Sensei Set which includes both reversible cushions will be chosen and invited to the Akane Fujita and Minami Takahashi meet-and-greet! Note: Although the event was scheduled to have 100 winners, it has been decided to be reduced to 50 winners due to circumstances surrounding event management and staff. We sincerely apologize to those who have already purchased the products. This tapestry will immediately brighten up your room! The item is currently under development, so the final product may differ. Aim for 800 Pieces: Receive TOM-limited Special Mini-Photobook Campaign! If we sell over 800 pieces of the Life-sized Tapestries and Reversible Cushions, for people who buy the tapestry set, we’ll include a mini-photobook featuring Akane Fujita and Minami Takahashi, the two voice actresses behind Sagiri Izumi and Elf Yamada! The mini-photobook is made up of never-before-seen photos taken specifically for this purpose, making it a very rare item. It’s something any fan would love to get their hands on! Please cooperate with us to keep the Eromanga Sensei fever going! The special set bonus will be limited to orders from TOM only! If you buy the MiyaP’s Desires Set, it’s counted as two pieces. There may be some differences in size. Eromanga Sensei is a light novel series by Hiro Kanzaki (Dengeki Bunko) and illustrated by Tsukasa Fushimi. It began publication in 2013 and so far has released 10 volumes. 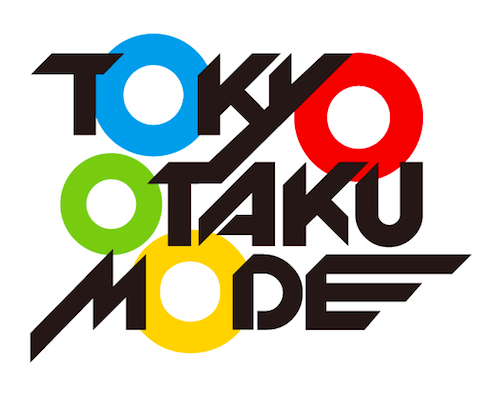 The anime aired in 2017 and an OVA (two episodes) is scheduled for release in 2019. Masamune Izumi, a high school student and light novel author, has a shut-in for a sister. She became his sister a year ago, but she doesn’t come out of her room at all. One day, Masamune was assaulted by a shocking truth. The illustrator behind the art for his light novels, Eromanga-sensei, was none other than his sister, Sagiri! His cute sister, who had always hidden herself away under the same roof, drew perverted illustrations under an indecent pen name! The series features countless characters who are so charming it eclipses Ore no Imouto ga Konna ni Kawaii Wake ga Nai (“My Little Sister Can’t Be This Cute”). It’s an industry slapstick comedy interweaving stories about an older brother, the light novel author, and his little sister, the illustrator! A: They are scheduled to be shipped starting in late January 2019 after production is complete. We’ve sent emails out to the meet-and-greet lottery winners! Presenting special photos of Akane Fujita and Minami Takahashi! Announcing More Information About the Meet and Greet!